Congratulations to Oisin Lane, 3rd yr student, who was honoured by Athletics Ireland recently when he was presented with the Roisin O'Callaghan award for walks at the Juvenile 2017 Star awards. On Thursday March 30th a group of 1st year athletes travelled to AIT to compete in the Connaught Indoor Athletics Competition. It was a very successful outing and enjoyed by all. Thanks to Leslie Finnan for helping to organise. 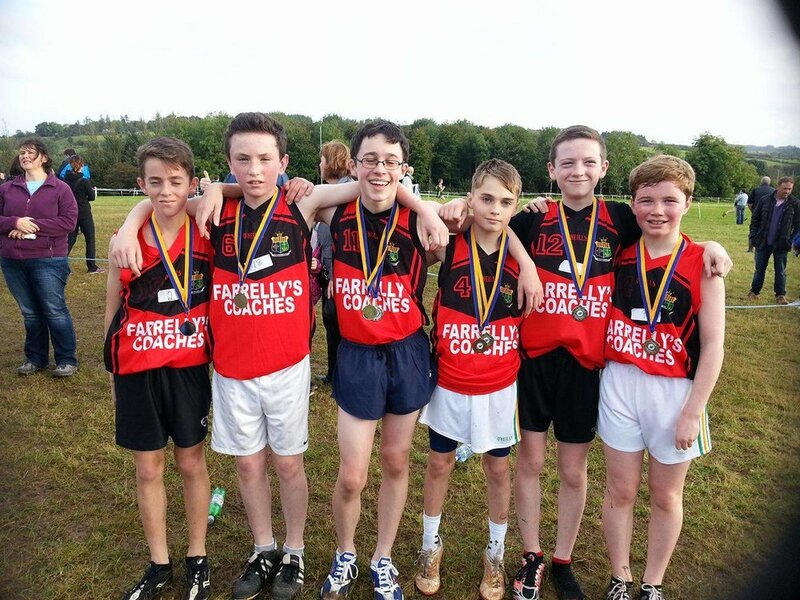 Boys – Jack Gallagher, Michal Kajan, Cathal Farrell and Brendan Finnan. Results: Boys and Girls came 2nd in the Relay. Lauren came 1st in the Sprints. Brendan came 2nd in the High Jump and Long Jump. Congratulations to the very talented first year and second year students who attended the X- Country event in Moyne on Saturday. Lauren Maguire won the girls race and the team winning the silver medal. In the boys race. Oisin Lane won an individual silver medal and Daniel Hayden won a bronze. The boys team also won silver overall. Congratulations to Oisín Lane on winning third place in Kent in July in the Schools International Race Walking intermediate competition. Oisín was competing against race walkers from Ireland, England, Scotland and Britain. Oisín won the Connaught Junior competition, and as a result he qualified to compete in the Intermediate competition. Oisín also won the All Ireland Junior race walking competition in June.